Welcome to a new series titled “What I Learned From…” where you’ll see posts from me sharing life lessons, experiments I’ve done and just funny stories from my life. You’ll also see guests posts from some amazing bloggers, which I am very excited about. My wish is that you get some laughs, some good information and a glimpse into who I am. 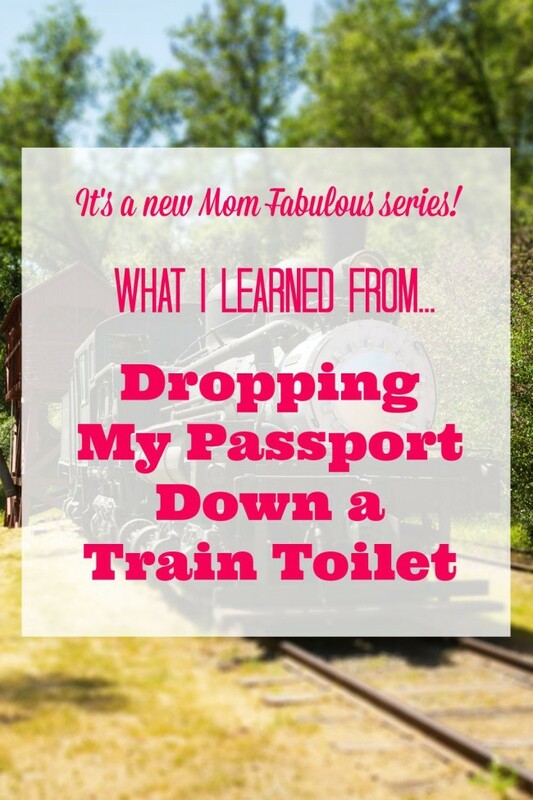 Once while traveling in Europe I dropped my passport down a train toilet. Let me set the stage for you. I was traveling from Slovakia to Hungary with some of my friends. I was 18 years old and brilliant. *insert sarcasm* The train was stopped and I decided I really needed to use the ladies room. Which is also the men’s room. I had my passport in the shirt pocket of a totally on trend 90s green and blue flannel button up. I stepped foot into the bathroom, took one look at the toilet and thought, “Yep, I’ll be hovering this bad boy“. I lifted the lid, looked down into the toilet and noticed that it was just a hole, straight down to the tracks. Interesting. So I thought to myself (remember, I’m brilliant) “that means all the stuff goes straight onto the…GROSS!” I decided to take another look because I was slightly freaked out by this new revelation. I looked in again, this time looking a little bit closer and plop!, my passport fell right out of my front shirt pocket, through the hole and onto the train tracks. I went back to our train compartment, found my boyfriend (now husband) and told him “I JUST DROPPED MY PASSPORT DOWN THE TOILET!” To which he replied “WHAT? !” We went and found the train ticket inspector and told him as best we could what happened. He didn’t speak English. We didn’t speak Hungarian, so there were a lot of hand gestures used trying to explain this emergency situation: “Passport.” (Hold up boyfriend’s passport.) “Fell in toilet.” (Shove hand in pocket. Take hand out of pocket and make a falling gesture with hand while saying toilet over and over again.) “Onto train tracks.” (Point outside.) He basically shrugged his shoulders and told us to go get it. Yes my friends. He wanted us to crawl under the train, on the tracks and retrieve my passport ourselves. Don’t they have an emergency team for other passengers who have dropped their passport down the freaking toilet?! No, no they do not. Without hesitation my boyfriend (did I mention he’s now my husband?) crawled under that train in lightning speed and retrieved my all-important green passport. You see, I would have been stuck in Hungary without it, meaning no going home to Slovakia. Bad news because I didn’t have the time nor the funds to take a little side Hungarian vacation. 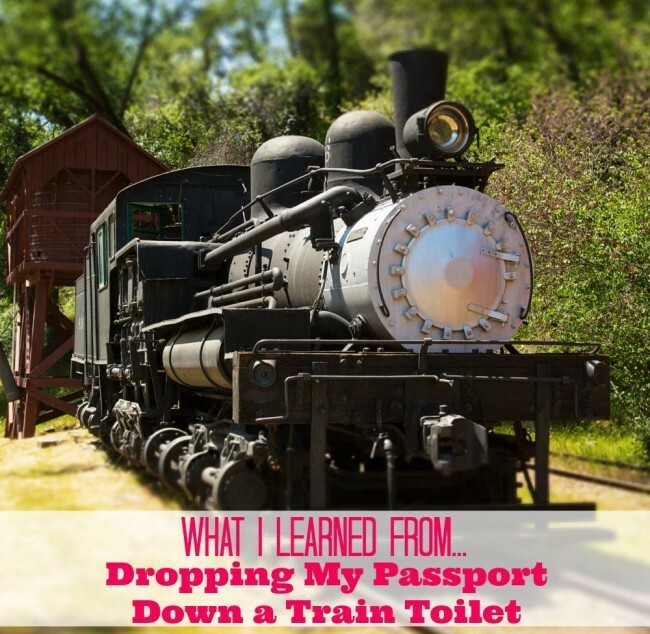 What did I learn from dropping my passport down a train toilet? Serious life lessons people. If the boy you’re with crawls under a train for you, marry him. Marry him right then. Because if he’ll do that for you, most likely he’s on your side for ever and an eternity. Yep, I married that boy (not right then and there, but a couple of years later) and he’s been figuratively crawling under trains for me ever since. Sometimes it’s a good idea to NOT follow the rules. I was in a foreign country and new to the whole ‘using the bathroom on a train thing’. Little did I know at the time (until the ticket man told me…using hand gestures of course), that it’s against the rules of the train to use the bathroom while it’s stationary. Remember that hole straight to the train tracks? Um yeah, use your imagination as to why it’s best to do your business while the train is moving. BUT, if I were to have followed that rule, my passport would have fallen onto the tracks of a moving train and I might still be stuck in Hungary! Travel with disinfectant wipes. Need I say more here? Okay, it’s your turn. Tell me your best travel story!